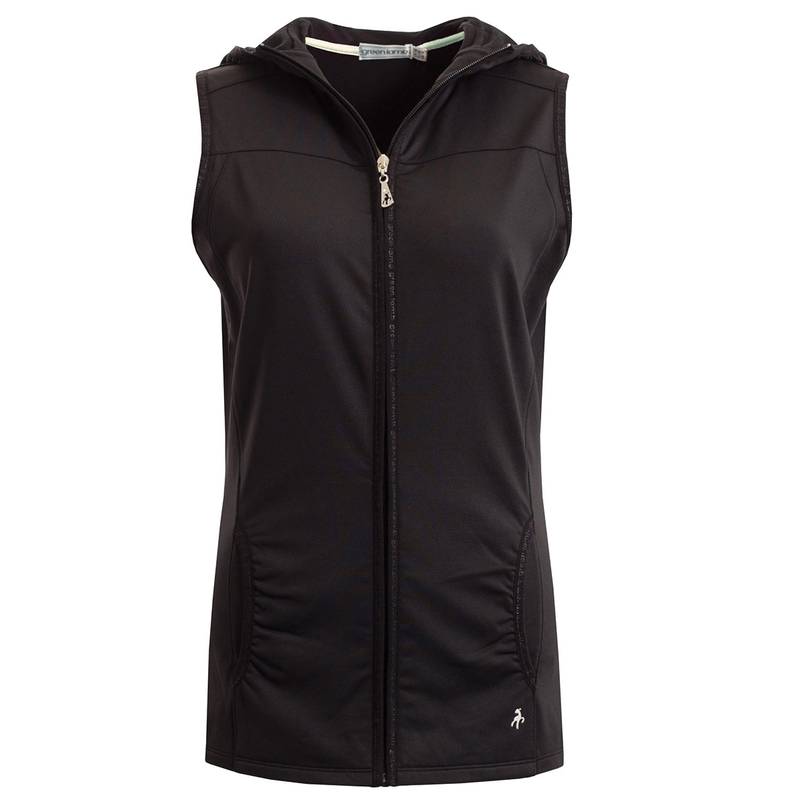 This sleek and sporty golf gilet has been designed to provide the ultimate stretch performance. 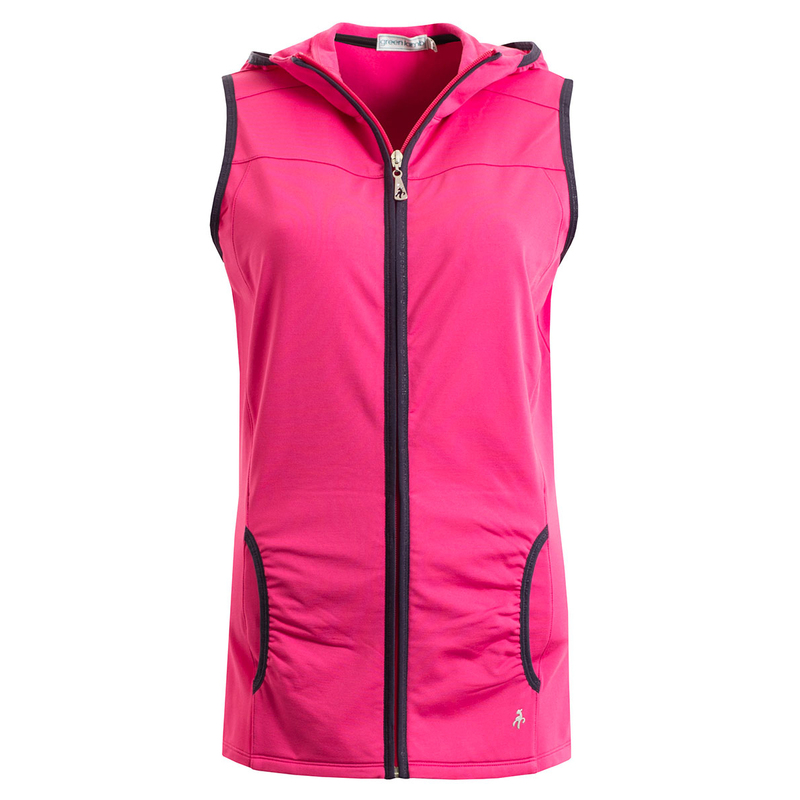 This full-zip gilet with high collar and hood has been constructed with a soft extreme stretch fabric for enhanced comfort and mobility, plus is lightweight, breathable and quick drying. 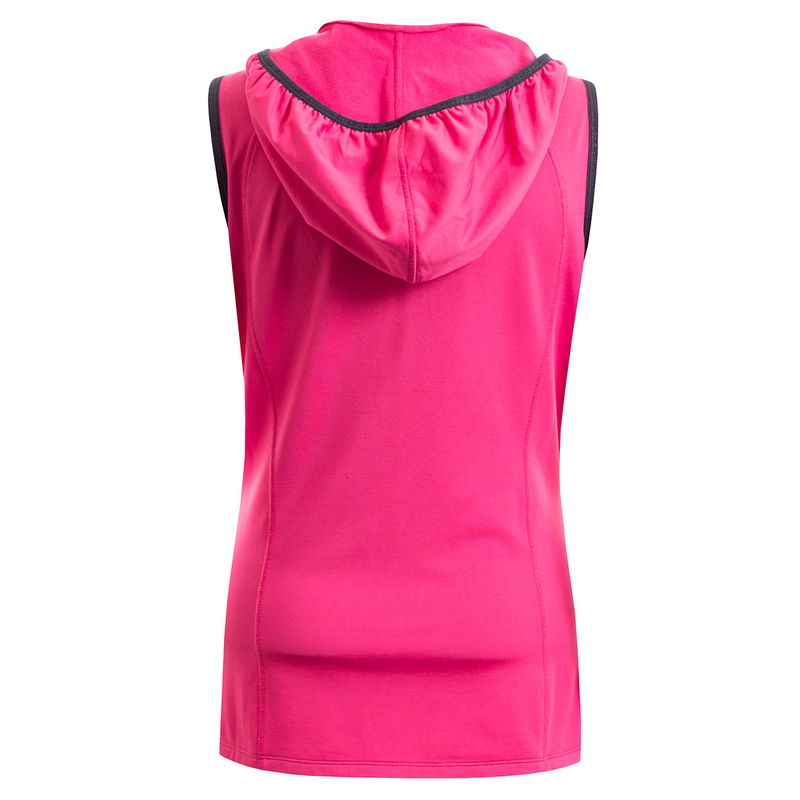 This is suitable for general activities as well as golf, and has a front seaming and fitted shape for a flattering fit. Other details include 2 front curved pockets, front zip opening and an exclusive Green Lamb zip pull with Swarovski crystal.